Cotswold auctioneers are chuff-chuff-chuffed to be selling a large collection of miniature petrol and steam engines later this month. The 43 engines, which range in size from a couple of inches to a foot long, were all handmade by a Cirencester engineering enthusiast over the past 20 or so years. The engines, whose names include Odds and Ends, Topsey Turvey and Fire Eater, will be sold along with a huge collection of toys and games at the last antiques sale at Moore Allen & Innocent before Christmas. The models are expected to sell for between £50 and £500 each, with the largest engines commanding the highest prices, when they go under the hammer at the selected antiques sale next Friday, December 10. The toy section continues to celebrate the age of steam, as well as the less-romantic age of diesel, with a large selection of model railway livery and track, by Hornby and other toymakers, while do-it-yourself engineering is encouraged with a 1930s Gilbert Erector Meccano set, in original tin box, with an estimate of £30 to £40. Collectors looking for something to celebrate the pending nuptials of William and Kate might consider a 1937 Coronation Royal Coach pulled by horses and mounted footmen, by Johillco, which is being sold along with a boxed set of 19 lead soldiers depicting beefeaters and coachmen, with an estimate of £80 to £120. The patriotic toy theme continues with a boxed example of the ever-popular circa 1965 Corgi 261 Special Agent 007 James Bond Aston Martin DB5, which is being sold with a pair of boxed Corgi cars – a Porsche 917 and a Porsche Targa 911S Police Car – for £50 to £80, while a boxed example of the Corgi Avengers gift set (circa 1966) containing John Steed and his vintage Bentley, and Emma Peel’s Lotus Elan S2 – but without Miss Peel herself – carries an estimate of £80 to £120. The extensive toy section also includes teddy bears, dolls and dolls houses, and even a fully-functioning miniature yacht – measuring around 6ft in length – which will be perfect for sailing on the local park lake, if it isn’t frozen over (estimate £100 to £150). 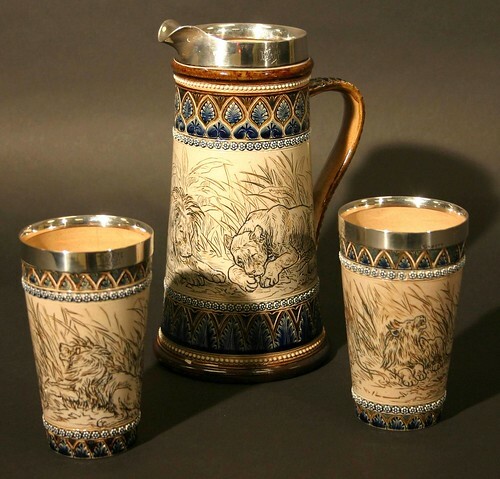 But there’s more to antiques than nostalgia, and the 530-lot sale also boasts a selection of the finest antique furniture, carpets and rugs, silverware and jewellery, works of art, clocks and barometers, and pottery and glassware. Gracing the front cover of the auction catalogue, and expecting to achieve one of the top prices of the day, is a Regency daybed in the Egypto-Classical manner, with caned seat flanked by curved and scalloped ends on gryphon feet. Bids of between £8,000 and £12,000 are expected. Hoping to match the success of a marble bust of King George III, which made £12,000 at the last selected antiques sale back in September, are a pair of busts of Roman emperors in Italian white and Sienna marble. The estimate for each is a more conservative £500 to £700, but then the estimate for George was £600 to £800, so you never know. 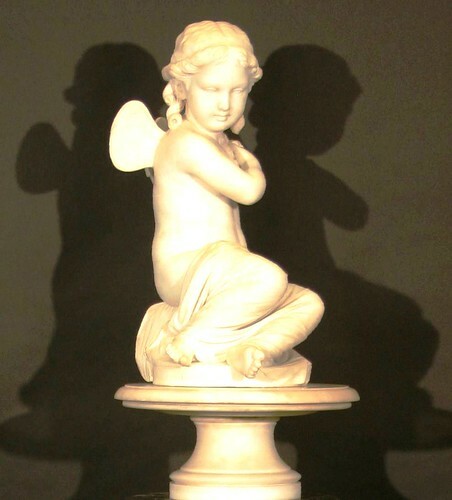 Also in marble is a figure of Innocence as a young fairy, by the sculptor Pio Fede (1816-1892). Inscribed ‘Innocenza’ and ‘Pio Fedi fece nel 1875’, the white marble figure is expected to achieve between £2,000 and £3,000. An exhibition-quality walnut cheval in the high Victorian taste, with Satyric mask and scrolling foliate decoration with beaded mermaid flanks, once featured on the Antiques Roadshow and carries an estimate of £1,000 to £1,500, while the TV theme continues in the pottery section: a Doulton Lambeth jug and two matching beakers decorated by Hannah Barlow – whose decorated pottery performed so well during an episode of Dickinson’s Real Deal back in April, carry an estimate of £1,500 to £2,000.